• Sending and receiving reminders. • Sounds and reminders customization. • Repeating tasks according to schedule. • History of completed tasks. 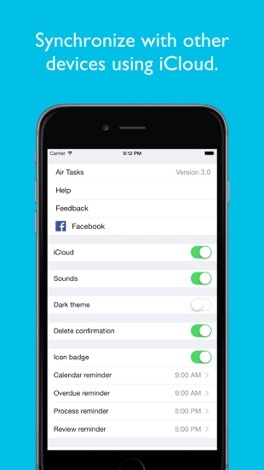 You can install Air Tasks for free right now and discover all of its features for yourself or you can continue reading this long and boring description. Just write down everything to Air Tasks, keep your mind free from clutter. • touch task's title to change it. Do not pile up collected tasks, complete those which take less than 2 minutes, defer, calendar or delegate others. • delegate it to a person from your contact list. Touch the image to the left of the task's title to change time, date, or person. 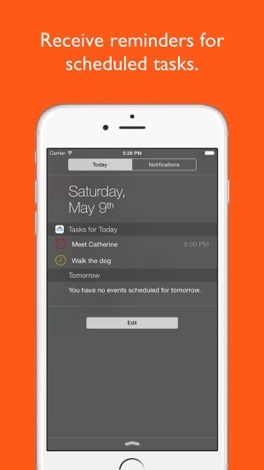 Air Tasks organizes your tasks, but you can flexibly manage them after. 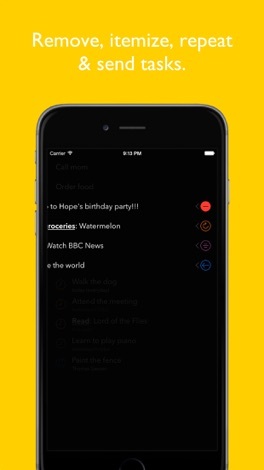 • delete obsolete tasks by swiping them to the left. 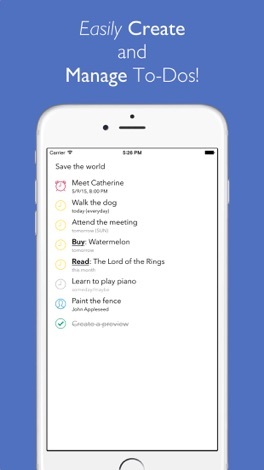 Periodically revise your schedule, Air Tasks already organized it for you in a convenient way. All collected tasks are at the top of the list. Try to get them to 0 by processing them when you have a free minute. They are followed by ordered list of processed tasks, beginning with overdue and ending with ones that are in far future. Always be aware of your today's schedule. After them you will find delegated tasks. Monitor their execution by the assigned person. Done tasks are at the end of the list. You will be surprised by their quantity after some time of Air Tasks usage. Enjoy your work and let Air Tasks manage the rest. 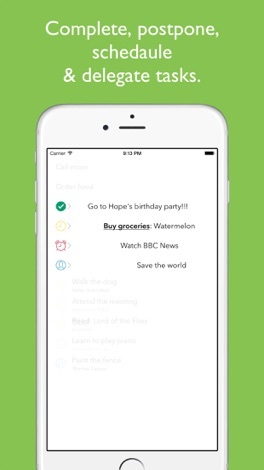 • clear the list from completed tasks by pulling it up and then releasing.